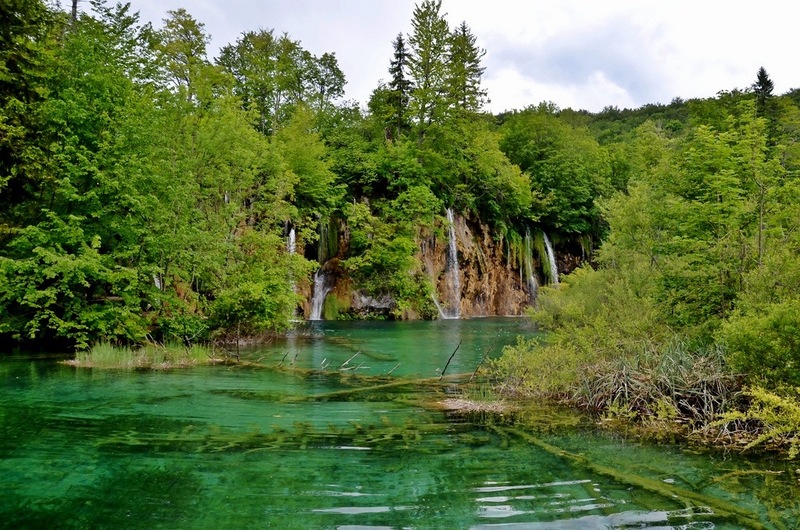 So I was going to do a post about Plitvice with a bunch of pretty pictures, showing you all how gorgeous it is to explore. I’m still doing that, sort of, but in a way that I hope is far more interesting than just a few nice photos. Before my trip to Croatia, one of the few places I knew anything about in the country was this national park, a true natural wonder. But if you’re like me, even if you’ve heard of it you may not know a lot about it. 1. 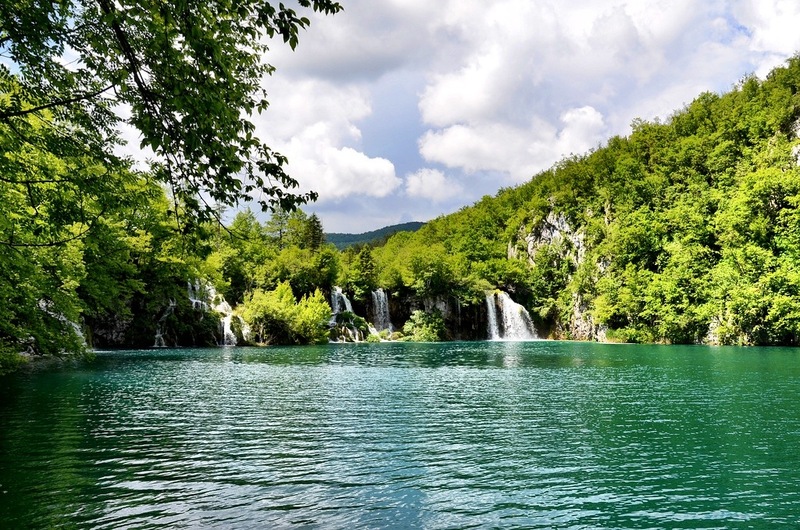 Series of 16 lakes – So what makes Plitvice so special in the first place? Well, it’s a series of lakes arranged in cascades. The lakes are the result of several small rivers flowing into one another, originally formed from mountain runoff. The lakes flow into one another, separated by natural travertine dams and all following the same general water flow. To stand in the middle of the park is to experience water and its power in a way you may not have before. 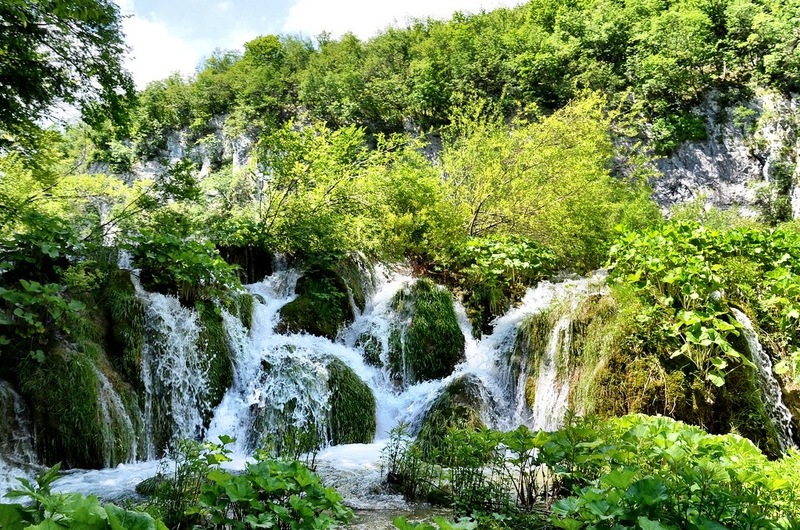 Throughout Plitvice you are followed by the constant sound of water gurgling, either slowly dripping or in a massive cascading waterfall. You can’t escape the moistness of the park and the verdant green plants surrounding the lakes are a testament to the life-force found here. The lakes are also famous for their constantly changing colors, from green to light grey and even pale blue. Connecting the paths and lakes are miles and miles of walkways, allowing intimate access to this natural wonderland. 2. It’s large – Yes, in general national parks are large so this probably shouldn’t come as a surprise. 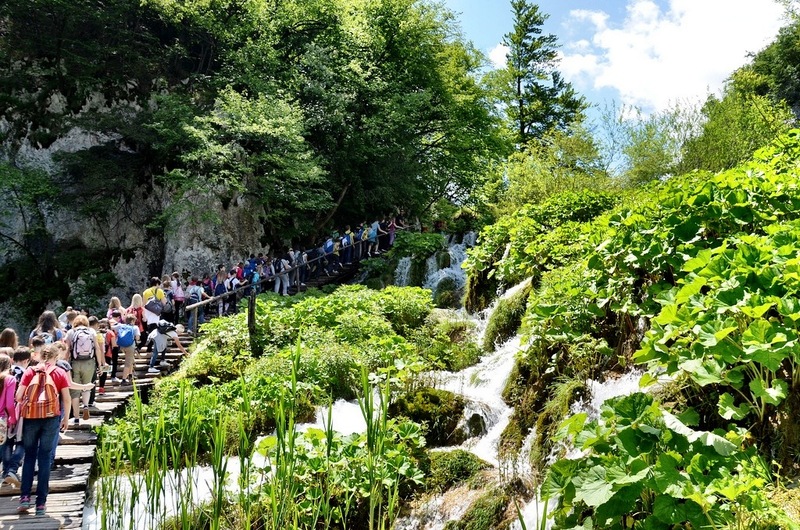 But, many people visit Plitvice as a day trip, or at the most spend two days there, so the size of the park can feel a bit daunting at first, but it is entirely manageable. The protected area covers almost 300 square kilometers, but some of the most beautiful hiking trails only take a few hours to navigate. There are plenty of options to see the best of the lake and river complex, so be sure to check the information office when you arrive. I spent most of the day exploring the park and while I felt like I saw a lot, I also had the feeling that there was much more left to be discovered. So if you have the time to spare and you like the outdoors, make sure you give yourself the opportunity to explore the park fully. 3. 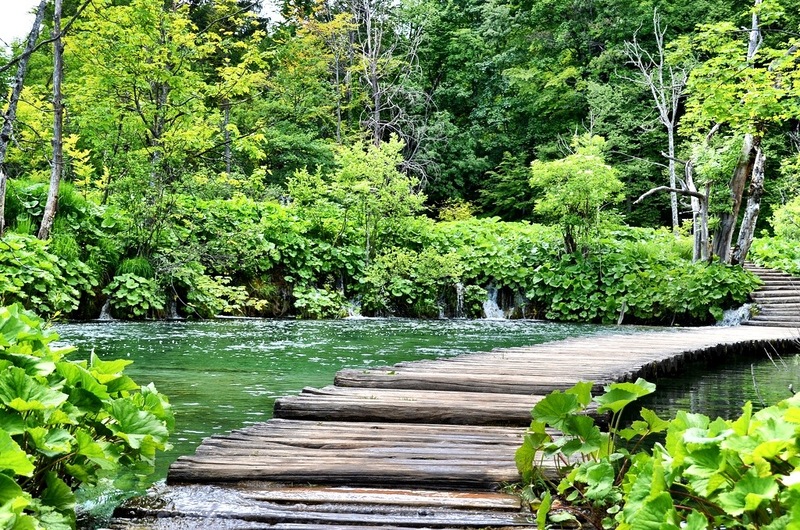 Massive diversity of flora and fauna – Plitvice is an all too rare example of a modern day Eden. Thanks to its location and the fact that it has been a national park since the 1940s and a UNESCO World Heritage Site since the 1970s, the animal and plant life in and around the park have been left undisturbed by man in every positive way imaginable. A lack of pollution, few buildings and other common human errors have left in place about 75 plant species that are endemic, meaning that they don’t exist anywhere else. Even the animal life has benefited, the brown bear for example still calls the nearby woods and mountains home. From a personal point of view, it’s intoxicating to walk along the watery paths into vast forests of green as far as the eye can see. The park screams life and abundance and it is an energizing experience. 4. 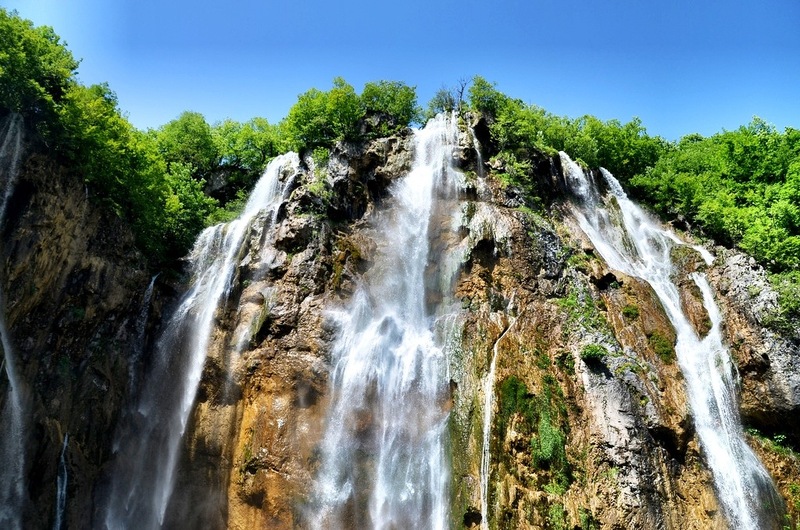 It’s very popular – There is a downside of course to the marvels of Plitvice, it’s popular; very popular. More than 1.2 million tourists visit the park every year, and even though I was there in the off-season it seemed as if they had all arrived at the same time. I can only imagine what the height of the summer season must be like. Massive motor coaches brought visitors of all ages, from school kids to the elderly. It was these groups that seemed to follow us as we explored the park. Around every corner is a new wonder, yet I was prevented many times from taking the photos I wanted because of the crowd gathering around, waiting for me to take my photo so they could walk past. As you can see from these photos though, any annoyance was well worth it. Even with the screaming kids and cranky adults, it was an absolutely magical experience to walk through this untouched paradise. To avoid the crowds, get there early and stay late, realizing that the worst of the crowds will converge midday. Also try to plan your trip in the off-season when fewer people may be traveling. 5. 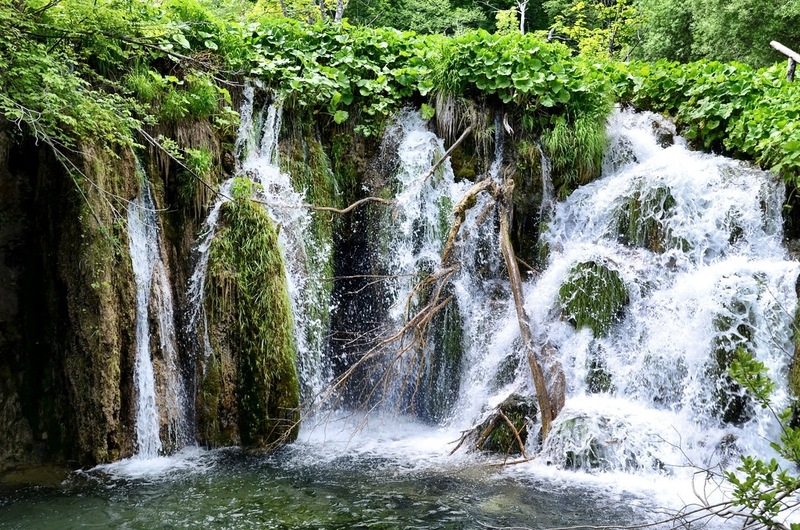 It really is that pretty – As you can probably guess by this point, I thought Plitvice was kind of pretty. It was beautiful in a way that is usually seen only in short bursts, but here it spans hundreds of kilometers. It’s not just the physical beauty that is enticing however, it’s the joy of being there that makes this experience so extraordinary. This is nature at its most pure, its cleanest, its brightest and its best. 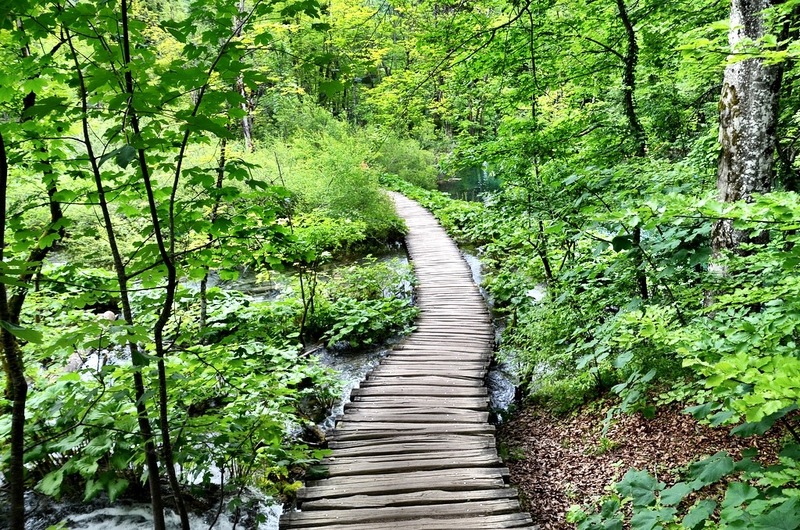 To spend the day walking through the rivulets and marshes, breathing in the water infused air and enjoying the day is the true wonder of Plitvice and it is that sensation of wonder and contentment that makes this one of the best parks in the world. 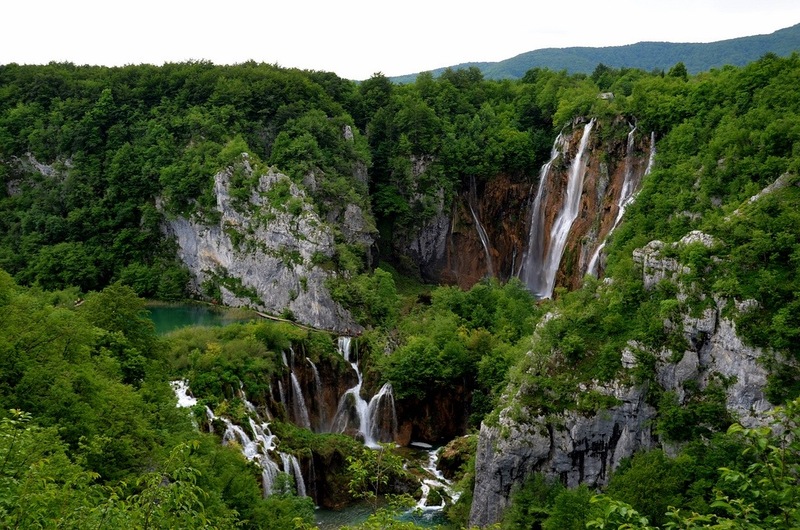 Ever since I first saw Plitvice on a Rick Steves show it’s been near the top of my must-see list. Your pictures just reinforced that. If I may ask, how did you get to Croatia? And then to the park once there? I flew to Croatia, DC-Frankfurt-Zagreb. After a few days in Zagreb I drove a couple of hours south to Plitvice. There’s a lot of parking, although for a fee. I also spent the night at a nearby hotel, which is a popular option. Wow! 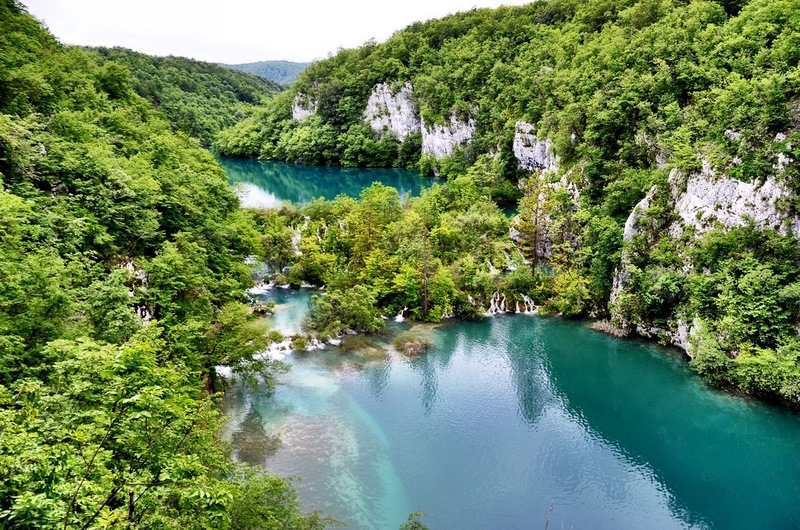 I have just recently been to Plitvoce Lakes… But the water was a most enticing shade of blue! I had no idea it could also be green! I really love places that really look as pretty once you get there as they do in the pictures! I hate crowds, so a visit in the off season sounds right up my alley…what is the “off season” for Croatia? Amazing photos, especially the last one. I’m seeing a lot of posts about Croatia today. I guess because they joined the EU today? It’s easily one of the top places on my travel list and now I have one more place within Croatia I want to see. Thanks for sharing. You know it’s funny I forgot about the EU entry when I scheduled this post, so it’s just great timing. It is a beautiful country and as I share more I hope you’ll come back to see and learn more about it! This place has been on my bucket list for years now. The first time I saw pictures of it I’m pretty sure I Googled it to make sure it was a real place. I’m glad to hear first hand that it really is everything it looks like it is. I am dying to get there and I’m sure I won’t want to leave once I do. I was there in May, 2012 and spent three hours hiking around. There were not, yet, too many tourists to spoil my visit. I had taken a train from Budapest to Zagreb the day before and then rented a car the next day and drove through and down Croatia staying in Split and Dubrovnik. It was a great mid-day stop-off. Such natural beauty, as evidenced by your pictures. Great photos! I went in July 2009 and loved it. We got a coach from Zadar that took us to the entrance of the park. We stayed in one of the local self-catering houses which was complete with bullet holes form the war! The park was stunning but we want at the height of tourist season so wasn’t as peaceful as I wished for, but that’s my fault for going in July. 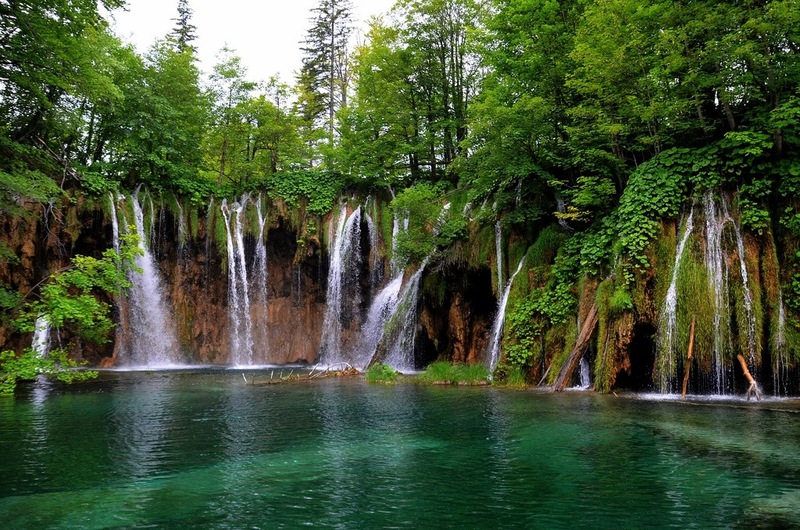 I would definitely recommend Plitvice Lakes to anyone visiting Croatia. It was my favourite spot, even over Hvar, Pag, Vis and Split. It was also a more bearable temperature compared to the coast, which meant we could enjoy the walk without breaking out in a sweat!Great photos! I went in July 2009 and loved it. We got a coach from Zadar that took us to the enterance of the park. We stayed in one of the local self catering houses which was complete with bullet holes form the war! The park was stunning but we wnt at the hight of tourist season so wasn’t as peaceful as I wished for, but that’s my fault for going in July. 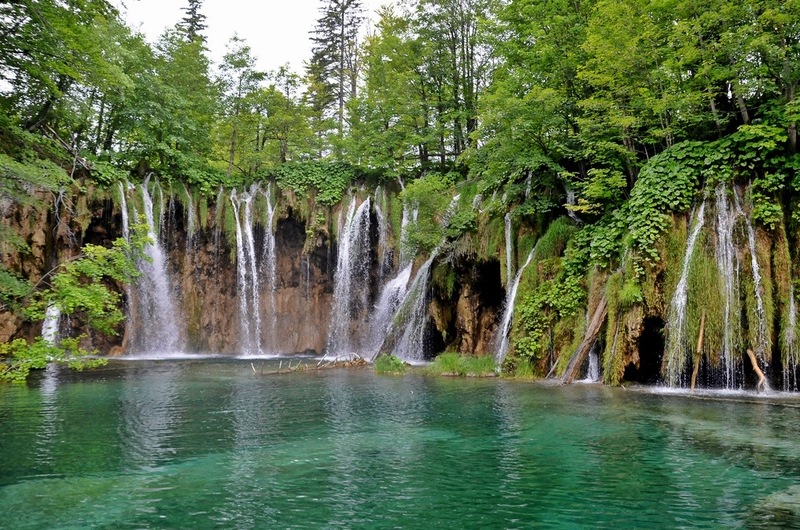 I would deffinitly recommned Plitvice Lakes to anyone visiting Croatia. It was my favourate spot, even over Hvar, Pag, Vis and Split. It was also a more barable temperatre compaed to the coast, whcih meant we could enjoy the walok without breaking out in a sweat! This is an enchanting place and i love your photos. I’m glad that people are preserving one of the best park in the world.The breathtaking scenery and the sound of the water make it a perfect destination. Definitely one of the loveliest place. Thank you for this post. Thank you for posting this as it is quite useful information for me as I’ll be heading up to Plitvice Lake (not so soon though, next autumn). Which entrance would be the best one to start with and which entrance provides better view for photographs? I’m in love with the first photo of your post. How do i get to that point to snap that shot (looking down on the cascading lakes)? Great post Matt! I went to Plitvice in the first days of November 2013. I had the whole place just for me. OK, almost just for me, there was a Japanese group. I do recommend everybody to avoid the tourist season. In the first days of November the park was still green in many parts but other trees were changing their colors into all kinds of reds and yellows. @Pitted Prunes: I don’t think it’s important so much where you begin your tour, eventually you’ll end up seeing the same things. As a photographer I definitely recommend you the off season. If you want to have a great view over the park I would suggest you this panoramic point: 44.89591, 15.60871 (check on google map). It’s a little bit off the main entrances and you need your own car. Hey Covinnus, was not November chilly? Hi Matt, thank you so much for such clear and wonderful pictures! We have a 3 year old and are going to be there in July. We were wondering if it is a good idea to go with him. We will have to take the stroller if we go here, as we will be there for a few hours. Looking at your pictures, it does not seem it will be easy to push the stroller given the path and the crowd. Any thoughts? It actually is that pretty! We used to think that pics are photoshopped….until we went there last week! There’s no wrong season to visit Plitvice National Park. In winter months the frozen falls are amazing, in summer the lush greenery is relaxing; in spring and autumn the water volume is highest. Be aware though, that the park is flooded with tourists in July and August. I’m booked in for just under a week in self catering accommodation of plitvice endo March. I’m worried I have far too long there is there anywhere else I can visit? Should I get car hire? Sounds like most people have day trips there. Yeah I would get a car. Plenty to do but a car is needed. Thank you very much for the great post; makes me really excited about my own trip in a few months. I’m just starting to get into photography, and am wondering if it would be possible to take the sort of pictures you did without a tripod. 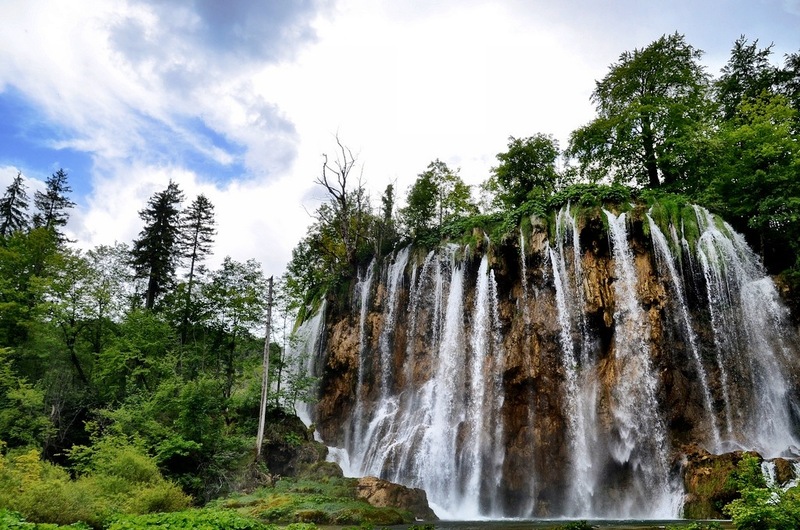 I came across your blog while researching the best spots for taking pictures of Plitvice during my trip next week. Very informative and beautiful pictures. I will definitely be frequenting it a lot (am going to Peru and Bolivia in June this year). All the pictures are stunning but I really liked the first one. It is taken from a higher view point and I was wondering if you can tell me the location you took that picture from (in relation to various stops/road/trail etc). Is it on one of the frequently used trails or some slightly out of the way spot. I have not seen too many pictures from a higher vantage point. Beautiful work and thanks again! 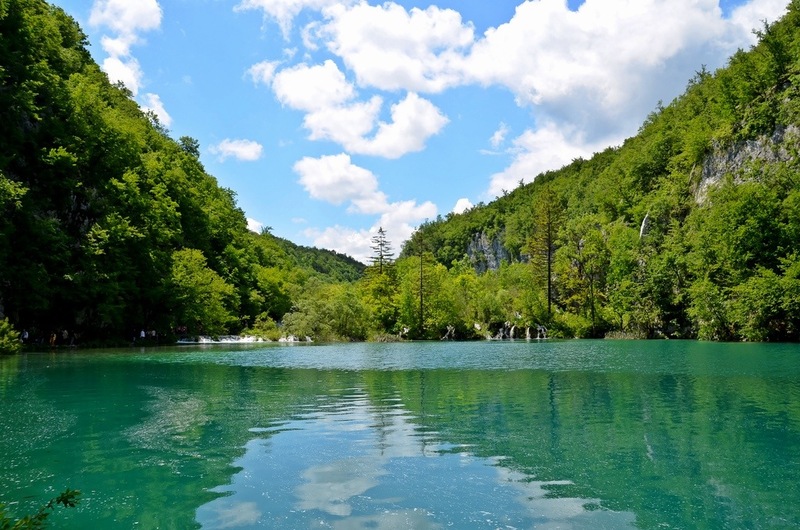 Hi Ashutosh We went to the Plitvice lakes this year in June. You will come across this high point on Trail H as soon as you cross the big waterfall. Just wondering, is there a fee for entering the park? everywhere seems to suggest quite a high fee but we can’t seem to figure out if this is just for specific tours. We are travelling on a small budget and dont want to break the bank whilst seeing the sites. I won’t have any more current prices than their web sites or local tour companies I’m afraid. Regardless of price though, this is one of those places that you have to see. Otherwise why travel? Thanks for your post and the pictures. I’m looking forward for a visit early Aug. I’m sure it’ll be packed with tourists and I wish I could go in Nov. Would you suggest to stay overnight by the park? This website was so helpful with my school project and really convinced me to go there someday!